I’m not going to lie…as I was eating this, I kept thinking “dang, that’s good!”. I was super impressed with myself on this night :). If you’ve read this blog for long, you’ll notice that I often refer to my two very favorite recipes…for spring/summer it’s my Bacon and Corn Pasta and for fall/winter it’s Sausage Corn Chowder…apparently, I really love corn. Every winter, I’m always experimenting with new chili recipes (because the Shull family could eat chili almost every night), so on this night, I decided to make a Sweet Corn Chili and it was fabulous!! This really and truly might be my very favorite chili recipe (and I have like 4 billion chili recipes). I made this on the stove top in one pot (hallelujah!) in minutes but you could also brown your ground beef and throw everything in the slow cooker too. I would cook it on low 6 to 8 hours or high about 3 hours. Don’t stir the frozen corn into your slow cooker until the last 20 or 30 minutes of cooking. 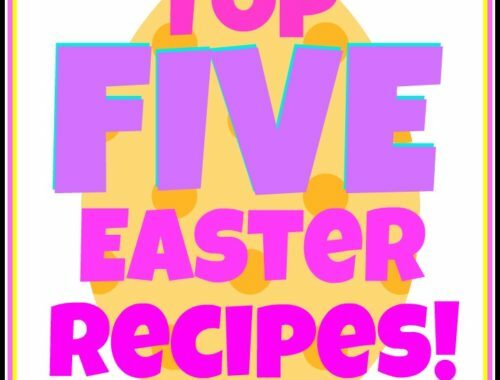 This recipe serves four adults. In a large pot over medium-high heat, brown your ground beef in a drizzle of EVOO. Add in a nice pinch of salt and pepper. Once browned and crumbly, stir in your chopped onion and jalapeno. Saute a few minutes and add another little pinch of S&P. Stir in your chili powder and next four ingredients. Reduce heat to low and simmer about 10 minutes, stirring occasionally. Stir in your frozen corn and simmer another minute or two. One pot. One hearty dinner. I'm going to have to try this one! My husband won a chili cook-off a couple weeks back (unanimously, but I'm not bragging or anything…) with a chili that had ground sausage, red, yellow & green bell peppers, red onion, and….1 cup of pureed pumpkin! IT WAS DELICIOUS! Your Bacon and Corn Pasta and Sausage Corn Chowder are two of my favorite recipes of yours as well!! 🙂 I also really love your Chicken and Dumplings!! I don't know what I would do wtihout you. 🙂 Thanks for the recipe! Looks delicious, I love corn, too! 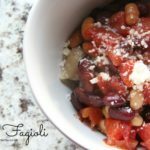 Could you use kidney beans instead of black? You can totally use kidney beans! Enjoy! 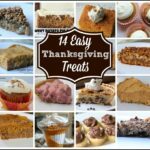 Shay, funny thing about this recipe – I searched your site yesterday for recipes with ground turkey because I had a pound I needed to use last night. 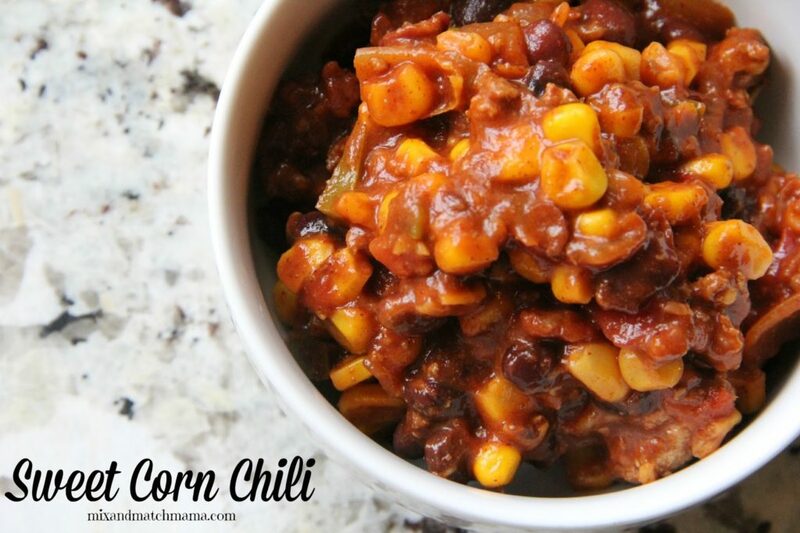 Found this Sweet Corn Chili – made it last night – YUM! Had no idea it was yesterday's post. How funny?!? Don't know how I missed it in the morning, but I am glad you posted it when you did! Served this with mini corn muffins and it was terrific. New staple chili recipe for me. Thanks!! 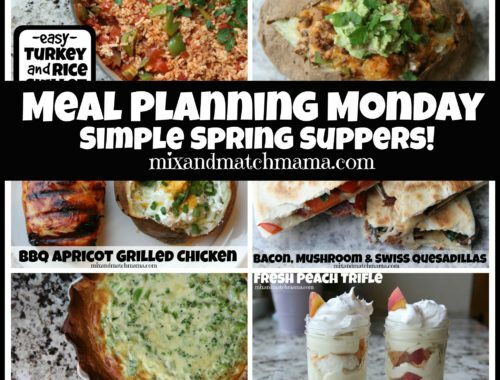 Making this today in the crockpot for supper tonight!!! Smells so good I had to sneak a bite & it is heavenly!!!! One of my faves….I can already tell! Made this tonight and LOVED it! Perfect combonation of flavors. Made this last night…my husband raved! 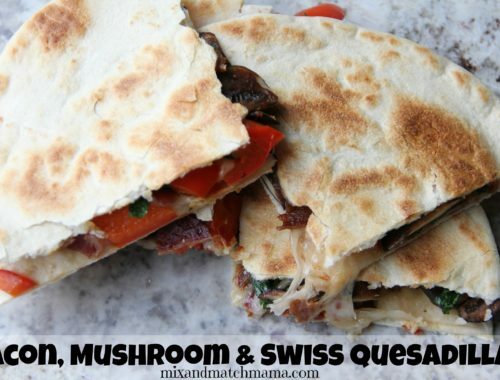 Just ate it for lunch too – even better the next day! This is THE BEST recipe. SO easy and delicious – we eat it as chili, and then put it in tacos or eat it with tortilla chips!! YUM! This was delicious! I made it and enjoyed a bowl while reading Sean's new book – for the right reasons! I just read the part about Andrew looking out for Sean on his football team & how you and Andrew met- very cute story!! This is my favourite Chili recipe of all time! Delicious on a cold Canadian night! Making this on our Snow Day!!! Thank you! I made it in the slow cooker just last Thursday!! Brown your ground beef and then place it and the other ingredients in your slow cooker. Cover and cook on low 6 to 8 hours. Garnish before serving. Enjoy!! I plan to double the recipe…would a double batch still fit in a crockpot? Oh my goodness Shay, this is so yummy!! I have this simmering on my stovetop right now & just took a little taste. So good!! I am usually not a huge fan of canned creamed corn, but it absolutely makes this dish by adding a bit of sweetness. Thanks for a great recipe! I make this on the regular! I substitute the diced tomatoes for two big squirts of bbq sauce. LOVE THIS! An easy, tasty delicious way to kick off stew season! I only wish I had doubled it– it's that good!! I LOVED this! I had some ground beef and was looking for a new recipe to use it in. This turned out great, and I'm eating the leftovers for lunch right now! Definitely make again though with an adaption to our English spice. Best chili I have ever had!! Leftovers are even better. Thank you so much for the amazing recipe. How hot does the jalapeno make it? I’m not one for super spicy. This was fantastic! My husband and boys loved it. It was a good change from my normal chili! We liked the sweet and heat combo. Thanks for the recipe!! !